The average gamer is age 35. 41% of gamers are female. 44% of gamers are age 36 or older. Over one-quarter of gamers are over age 50. The average gamer has been playing for about 13 years. Nearly two-thirds of US households include someone who regularly plays video games. More than half of frequent gamers regularly play with friends, family, or partners. Clearly, gamers are not a monolith. They come in all flavors and types, which means that if you’re new to gaming, there’s no need to think playing video games strange or uncommon. Plus, gaming may even provide some health benefits, which we cover at the end of this page. No matter what gaming level you’ve achieved, we wanted to give you some recommendations for games you could jump into, start playing, and even earn some health bonuses through. For each game, we used our best judgment to decide how highly they rated on a few factors. These factors include physical activity, cognitive challenge (or how hard the game is to play), and social interaction. We also included each game’s score from Metacritic, a site that uses aggregate reviews from multiple sources to rate how good the game is. Finally, we included the game’s cost, which is generally based on its current price on Amazon or an app store like Apple’s iOS App Store. Brush aside any notions of worry—gaming isn’t as scary as you think. Pick up a controller and start playing! If you’ve just started to play or you’ve yet to push start on gaming, we’ve got you covered. There are plenty of ways you can get a taste for gaming across a variety of game types, systems, and skills. Here are our picks for top beginners’ level games, each with a few added health and/or cognitive benefits. By the way, just because a game is in this category, it doesn’t mean only a new player will enjoy it. It just means that the game is probably a bit easier to purchase and learn how to play. Each game on this list costs less than $40. Also, if you don’t already have the system to support a game, check the bottom of this page to see how to get set up and how much it’ll cost you. 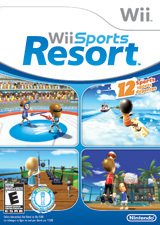 A great start to gaming is Wii Sports Resort on the Nintendo Wii. It combines charming, physically active play into a game centered around beach resort challenges. Use the motion-tracking sensors in the Wii remote controller to engage in activities like archery, basketball, and jet skiing. Challenge yourself or play on-screen with others in the same room for high social interaction. 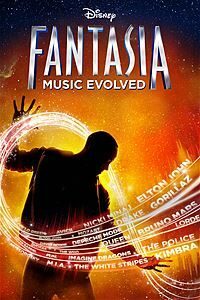 As long as you’ve got a Kinect, the device that adds motion-sensing capabilities to your Xbox system, you should pick up Disney Fantasia: Music Evolved. Created by Disney and inspired by the fantastical and musical world of Fantasia, this game lets you play with just your own body—no controllers necessary. Time your gestures with modern and classical music to complete levels and bring this magical experience to life. 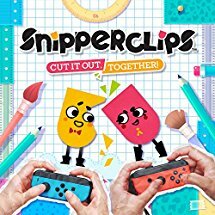 Snipperclips—Cut It Out, Together! on the Nintendo Switch continues the company’s tradition of being a platform for innovative and colorful games. And like many Nintendo games, you can play Snipperclips with friends and family in your home. This game, which can accommodate up to four players, asks you to snip and clip your way to solving construction paper-like puzzles. Play with others and you’ll find yourself crying out “snip me!” with abandon. 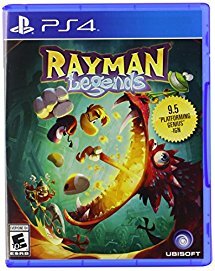 Available on nearly every modern system available, Rayman Legends is a side-scrolling adventure game packed full of whimsical characters and innovative challenges. This highly reviewed game lets you play alone or with others online. 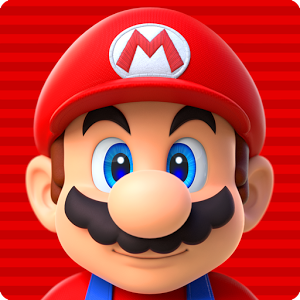 A perennial favorite character, Mario hopped onto Apple iOS devices in 2016. If you played the original Super Mario Bros. that debuted in the 80’s, the playstyle of Super Mario Run will feel familiar but updated. The controls are simple, but beating levels is challenging as you jump over enemies, collect coins and stars, and save Princess Peach from the nefarious Bowser. If you feel pretty comfortable with video games and systems and are willing to pay a little bit more for the experience, you’ve reached the intermediate level. At this point, the games can be a bit more challenging in terms of controls, game difficulty, and interaction with other players. Jump below for our top picks for experienced gamers. If you’ve seen people, in groups or alone, wandering around your neighborhood, looking around, and flicking at their smartphones, you’ve probably seen someone playing Pokémon GO. 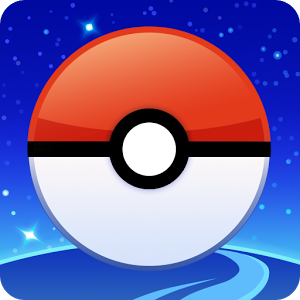 This worldwide phenomenon takes the classic Pokémon game series and brings it to your pocket—no console required. Although the controls and playstyle take some getting used to, once you’ve started playing this monster-collecting and battling game, you’re bound to catch the “Gotta Catch ‘Em All!” bug. 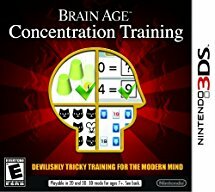 Exclusive to Nintendo’s 3DS mobile gaming platform, Brain Age: Concentration Training is a game all about flexing the muscles of your mind. The game starts with a few challenges to calculate the “age” of your brain and then it serves up countless puzzles, math problems, and more. As you progress, you may start to feel less distracted, more concentrated, and happily entertained. Ask long-term gamers which video games they hold most dear and you’re likely to hear about Zelda. 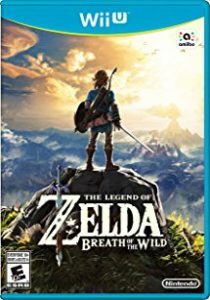 These Nintendo-produced action and puzzle games have been a mainstay of the company’s history, and The Legend of Zelda: Breath of the Wild serves up a breathtaking entry into the series. Controlling the elfish Link, you’ll explore the expansive and surprisingly lifelike world of Hyrule while clashing swords with monsters, solving ancient underground puzzles, and even cooking up status-boosting recipes. Stardew Valley isn’t just a farm simulator—it’s an enchanting, exciting experience. 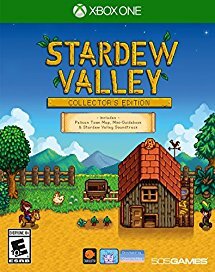 Your character is a farmer, and you’re tasked with starting your own farm in the retro-styled setting of Stardew Valley. Eventually, you’ll learn that venturing outside of your farm leads to more fun, interaction with other characters, and even battles with nasty creatures. 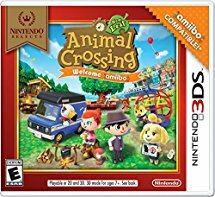 Another village-building simulation game like Stardew Valley, Animal Crossing: New Leaf lets you create and serve as mayor to an entire town populated by wisecracking beast-like beings. After setting foot in your new town, you’ll have to complete challenges like fishing, butterfly catching, and more to earn bells—Animal Crossing’s currency—to design the village of your dreams. You’ve mastered the systems, you know the controls, and you don’t shy away from calling yourself a gamer. If you’re fully comfortable with gaming, you’ve reached the expert level. There’s no need to convince you of the merits of video games, so let’s talk about some of the best next-level games you can play right now. 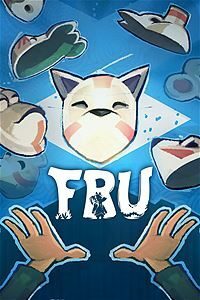 FRU on the Xbox One is our first choice for seasoned players because of its innovative mix of challenging puzzle play and physical motion, courtesy of the Kinect device. Using your body’s silhouette, you help the main character traverse platform-based levels. You’ll have to move side to side, raise your arms, and wiggle around to complete masterfully designed challenges. If you’ve heard anything about gaming, you’ve probably heard about World of Warcraft. This massively multiplayer online role-playing game (MMORPG for short) for the PC is played by millions of people worldwide. 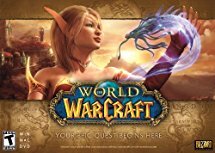 You can jump into World of Warcraft relatively easily, but progressing to higher ranks will take dedication, skill, and time. If battling monsters with swords or magic is your thing, this long-lasting game should fit you nicely. 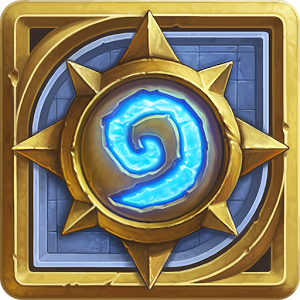 If you took World of Warcraft and turned it into a card game, you’d have Hearthstone. In fact, that’s exactly what this mobile and PC game is: a card game based on the characters and lore of World of Warcraft. It’s free to download and simple to start, but mastering the game is an expert-level challenge. Battle by yourself or against other players by picking out a powerful deck and then carefully playing your hand to defeat your opponent. The Uncharted series has been around since 2007, and the fourth installment has received rave reviews for its action-packed content and beautifully rendered graphics. 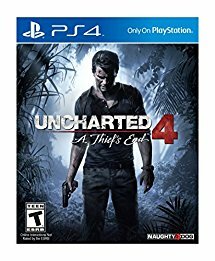 At the core of Uncharted 4 is a single-player story where you send Nathan Drake on a treasure-hunting adventure through a huge, open world with challenging combat situations. If you’ve ever dreamt of lording over an entire civilization, this game gives you the chance. 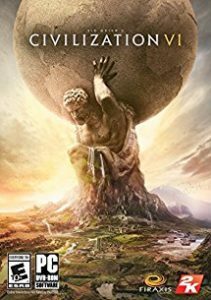 Sid Meier’s Civilization VI is a game about building a city and leading its inhabitants through the millennia. Whether you achieve world dominance through diplomacy, warfare, or technology is your choice. It’s a complex game with near-limitless functionality that will keep you hungry for more power. Ready to dive into one of the games we recommend? You’re going to need the system to play it on. Depending on your budget and the games you want to play, here’s how to find and purchase each of the systems we’ve mentioned. Nintendo’s Wii gaming system was a global phenomenon when it launched in 2006. With its innovative motion controls, low cost, and focus on active and social games, the Wii quickly became one of the best-selling video game systems of all time.2 The Wii is still available from many retailers, including Walmart, for around $100. The Wii U built on the motion controls of the original system and added new functionality: a touch screen. The Wii U’s game pad lets you use your finger or a stylus to play games on or off your television. It even plays games from the original Wii system. Wii U consoles sell for about $275. Nintendo’s mobile console, the 3DS, is a popular system that features dual screens and touch-based gameplay. Entry models start at around $150. Finally, the Nintendo Switch is the Mario-makers’ latest console release. The Switch brings Nintendo games to a system that easily transitions from television console to mobile platform. Because it’s brand new to the market, the Switch is the most expensive Nintendo system available and retails for about $390. Get the Nintendo Wii U.
Microsoft got into the console gaming arena with the original Xbox in 2001. Today, you can easily purchase an Xbox 360 for about $200 or the newer Xbox One system that starts at about $260 with a bundled game. For the best graphic quality, the Xbox One S will set you back at least $300. And for the full body motion-sensing function for games like FRU, you’ll need to purchase an additional device: the $83 Kinect Sensor. Get the Microsoft Xbox 360. Get the Microsoft Xbox One. Get the Microsoft Xbox One S.
PlayStation is another major mainstay of video game consoles, with Sony’s PlayStation 4 Pro as its newest generation. While the Pro will likely cost you almost $400, you can still purchase earlier versions of PlayStation systems for cheaper. The PlayStation 3 is available on Amazon for about $242, while the PlayStation 4 (non “Pro” edition) is $250. Get the PlayStation 4 Pro. Gone are the days when you needed to purchase a chunky console to be a gamer. Today, anyone with a smartphone or mobile device can download and play games—anywhere, anytime. Depending on your device, you can download games in a variety of genres from the Apple iOS App Store or Android Google Play store. Personal computer, or PC, gaming has continued to be a common way for people of all ages to scratch their gaming itches. Many popular games, like World of Warcraft, are only available on desktop. But you have to make sure your system can handle the graphics and other system requirements that a game demands. No matter your age, you can be a gamer. And gaming can mean playing puzzle games with your kids or grandkids or grinding out tough battles online. Whichever game or system you choose, you can play with the knowledge that all the fun you’re having isn’t just a waste of time—it could actually be contributing to a better and healthier life.